If all goes well after graduation, you should be making substantially more in your first career than you ever did at minimum wage jobs and internship experiences. With a new job comes new responsibilities, though, and one major responsibility you will have is smart spending. Here are some tips for managing your money in an efficient way. Regardless of whether you live at home or found yourself an apartment, you’ll need to budget. Take some time to make a spreadsheet for your spending, starting with routine payments like car insurance and rent. Then you can add in things like groceries, gas, and miscellaneous spending. 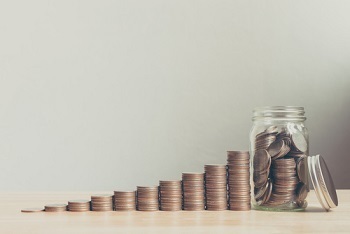 This is a great way to ensure that you aren’t spending too much of your paycheck on non-necessities and will allow you to come up with a plan for putting some of that money into a savings account each month. You might have a few months after graduation to hold off on paying your student loans, but they will creep up on you fast. If you haven’t already, speak to a professional about different repayment plans and determine what is feasible for you. Once you’ve set up a course of action, be sure to make monthly payments on time and pay a little extra when you can in order to keep your interest low and pay them off as quickly as possible. A ten-year payment plan may seem daunting at first, so the quicker you pay it off, the better! Students are often afforded low interest rate credit cards with tons of perks, but once you graduate, a lot of that leeway disappears. Be sure to pay your credit cards down quickly and keep the balances low so you can focus on paying for all of your other necessities. If you do find yourself needing to charge a few purchases when you first graduate, be sure to use a credit card with low interest rates and some added perks if possible. In the end, you should really try to save your credit cards for emergency situations only so you rarely have to worry about an extra monthly payment. Pick up a side gig? If you’ve taken all of these steps and still find yourself struggling to scrape together cash in the days before your next paycheck, you may want to consider picking up a side job. Whether it’s driving for Uber, waitressing, freelance writing, or another odd job that you’re already familiar with, the extra money will help until you make it to a raise or promotion. Just be sure not to overwork yourself! On the flip side, if you feel like you’re financially stable and find yourself with some extra money each month, start investing now. It’s never too early to set up a retirement plan or begin putting money into investments. No matter what you decide, though, be sure to sit down with a professional to discuss your plans to ensure that you are maximizing your savings and making the smartest choice for your future. Ready to earn your first paycheck? Barton Associates is hiring in all ten of our offices across the nation for entry-level positions. Visit our website to learn more!